glue laminated wood is an incredibly strong construction method that can provide a beautiful element to a home. 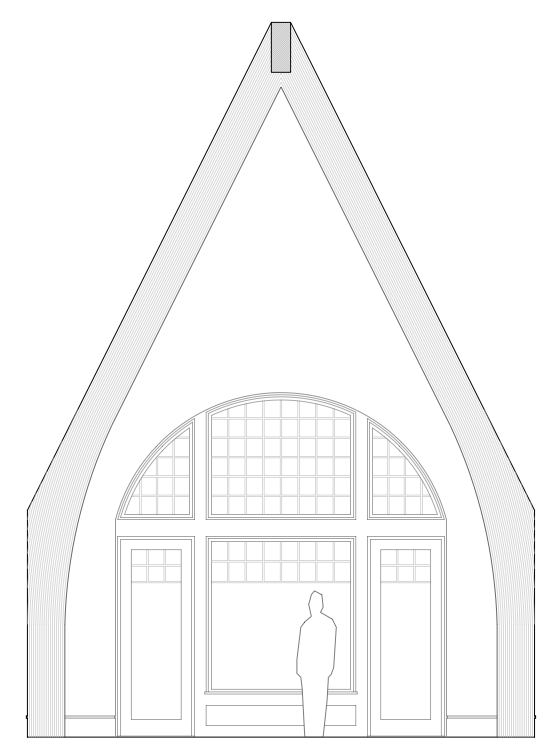 when considering the structure of a design, we try to incorporate it with the interior space whenever possible. this often adds to the beauty of a home and gives the owner a clear sense of how everything works together. 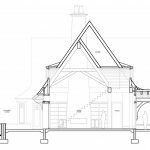 in this instance, we designed a buttress truss system to help define a great room for the owners who are currently building at cassique, a community of kiawah island sc. 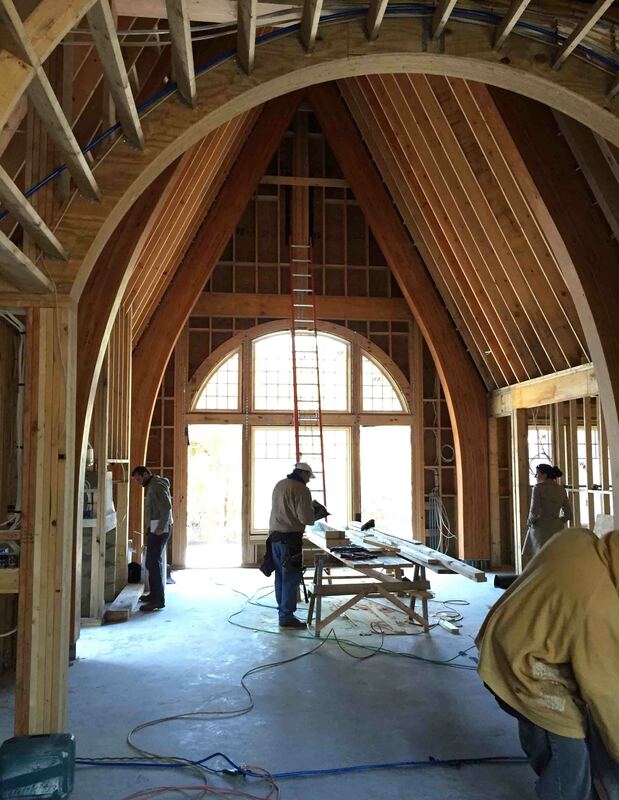 renew urban is coordinating the construction of this home and we teamed up with harmony timberworks of boone, nc to fabricate the buttresses. the team at harmony timberworks is shown in the above image. 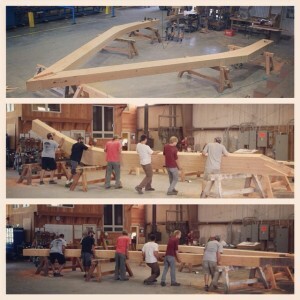 several of them are in their shop man-handling the framework. each buttress leg weighs in at 1800+ lbs! upon delivery of the trusses, a crane was used to carefully place each leg onto customized mounting plates. 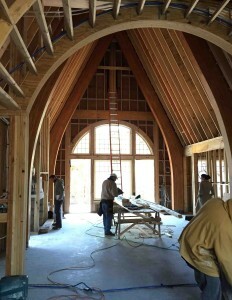 rather than use traditional wood framing for the great room, we chose to eliminate much of the needed structure by relying on the buttresses themselves to carry loads. this helped alleviate some cost and gave us the opportunity to expose the wood for the great room. 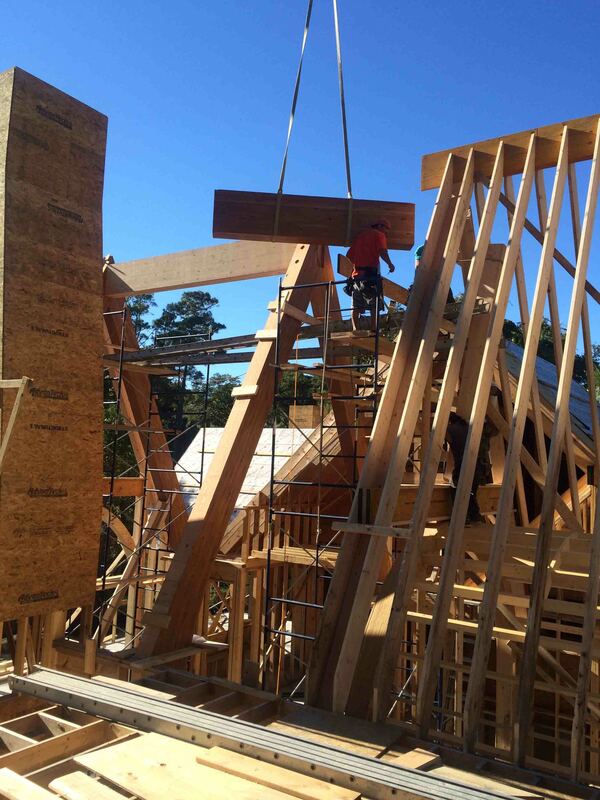 once the trusses are mounted and upright, we begin to get a better feel for the size of the space. 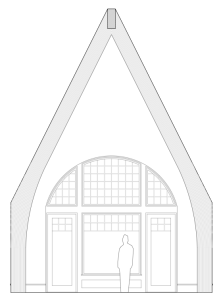 at this point, it became clear that the timbers themselves have become the major design element within the space. 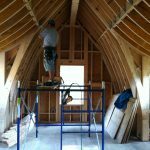 infill framing with smooth painted surfaces will create the finish in this room and further accentuate the wood members. the effect of this construction method is visually striking. the above image was taken under the barrel vaulted ceiling in the kitchen, overlooking the kitchen towards the great room. we should mention the owners are very interested in dynamic ceiling shapes, which we’ve been careful to utilize throughout their home. 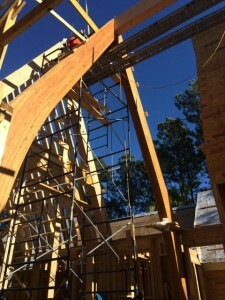 we have to point out the exceptional work by renew urban and harmony timberworks. this is one exciting job site!